LAYTON—The family of Sylvia E. Adams will honor her Saturday with an 85th birthday luncheon at her home, 1738 E. Oakridge Drive. Mrs. Adams was born Oct. 1, 1898, in West Point, a daughter of Fred and Eliza Flint. She married Hazen F. Adams March 6, 1918, in the Salt Lake LDS Temple. She was a supervisor for the Davis County School Lunch Program. A member of the Layton LDS 3rd Ward, Mrs. Adams has been a Relief Society Visiting Teacher for 42 years, and has also been a secretary on the Relief Society, as well as a teacher in the Primary and Sunday School. 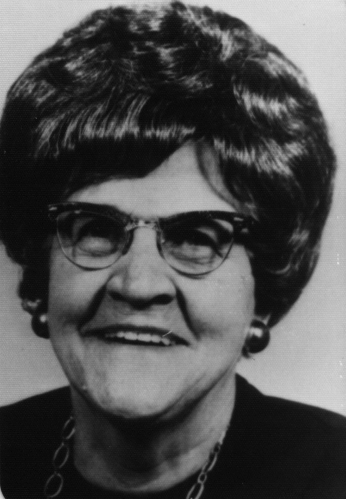 She and her husband have five sons and daughters: Nora Burton, Fruit Heights; Rhea Sedgwick, Folsom, Calif.; Faye Parker, Washington Terrace; Lynn H. Adams and Kenneth H. Adams, both of Layton. They also have 22 grandchildren and 33 great-grandchildren.